The website and its operating company Microcosme SAS are hereinafter denominated "Avril". For the purposes of these Terms and Conditions, the buyer and Avril are individually or collectively referred to as "the Party" or "Parties". These Terms and Conditions are intended, first of all, to inform any potential buyer of the terms and conditions under which Avril sells products and on the delivery of ordered products and secondly, to define the rights and obligations of the Parties under the sale of Avril products to the consumer (above and below the "Buyer"). They apply, without limitation or reserve, to all sales of products offered by Avril on its website. Accordingly, the fact that the Buyer ordered a product offered by Avril on the Website means the full acceptance of these Terms and Conditions of which he became aware prior to its order. Avril reserves the right to modify these Terms and Conditions at any time. However, the Terms and Conditions applicable to the Order are those accepted by the Buyer at the time of ordering. The selling prices of products online on the Avril website, indicated in Euros, are those in force at the time of placing the order by the Buyer. The selling prices of products can be modified at any time by Avril. This change will be reported to the Buyer before any order. Prices are applicable in the context of distance selling. These prices do not include shipping costs, charged in addition to the price of purchased products. Shipping costs will be shown before the registration of the Order by the Buyer. Different shipping terms are provided below in the Terms of sale and may be modified at any time by Avril. Thus, Avril advises any buyer to check the Terms of sale regularly figured on the website. Prices include the VAT applicable on the date of the Order. Any change of the applicable VAT rate will be automatically reflected in the price of products sold by Avril on its website. The Buyer can select one or several products among the different categories proposed on the Avril website. Avril can at any time modify the assortment of products offered on the website, according to some constraints related to the supplying and administration of collections, without prejudice to orders placed by the Buyer. 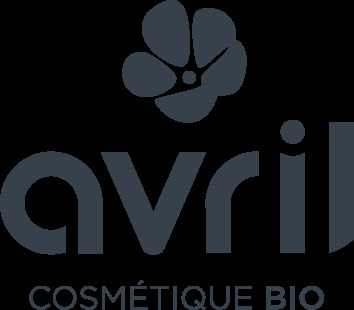 In accordance to Article L. 111-1 of the French Consumer Code, the Buyer can, prior to his order, take note on the Avril website, of the main characteristics of the product(s) he wants to order. Products comply with French regulations. Avril’s responsibility cannot be engaged in case of non-respect of the regulation of the country in which the product will be delivered. The Buyer has to check with local authorities in the delivery country, the possibility of import or the use of the products and services that he intends to order. Avril cannot guarantee that information noted on the packaging of the products is translated into all languages of the European Union. However, this information is available at least in French. For any question regarding the products and their use, any other questions or requests for advice, the Buyer can contact the Customer Service by email at contact@avril-beaute.fr or by phone on +33 (0)3 20 70 81 78 (the price of a standard call to France) during the service time indicated in the section “Contact Us” on the Avril website. Offers presented by Avril are valid until they are announced on the website and within the limits of available stocks. In any case, and in the event of a total or partial unavailability of products after placing the order, the Buyer will be notified by email as soon as possible of the unavailability of the product and of the total or partial cancellation of the order. - The Order of the Buyer will be automatically cancelled and their bank account will not be debited. - The Customer Service will contact the Buyer to inform of the order cancellation and propose him to renew their order, without the unavailable product. - Pursuant to the provisions of Article L. 121-20-3 of French Consumer Code, the Buyer will be repaid the price of the unavailable ordered product as soon as possible by Avril’s bank. Any order means the approval of these Terms and Conditions, without prejudice to specific contractual terms concluded between Parties. The Buyer has the possibility of checking the details of his Order and correcting any mistakes. From the moment the buyer confirms the order by clicking on "Proceed to payment", it means that he has knowingly accepted the content and terms of the Order in question and in particular the present Terms of sale, prices, volumes, characteristics, quantities and time of delivery of products offered for sale and ordered by the Buyer. Once this step is done, the Buyer can no longer cancel his order. Upon receipt of the Order, he may exercise his right of withdrawal in accordance with the Article 6 of these Terms of sale. The sale will be definitive at the time of the Order by the Buyer. This Order will be confirmed by Avril by sending an email to the Buyer (the « Order confirmation email"). In addition, Avril reserves the right to suspend or cancel any execution of an Order and/or a delivery, whatever its nature and level of execution in case of default in payment or partial payment of any sum due by the Buyer in case of payment incident, or in case of fraud or attempted fraud in connection with the use of the Avril website, including on occasion of previous orders. A second email will be sent to the Buyer upon the shipment of the order. Avril recommends to the Buyer to keep his two emails on paper or stored on his computer. The Buyer is informed that the two emails will be sent to the email address entered by the buyer at the time of his registration, prior to placing the order. Thereby, if the Buyer has made a mistake in his email address, or if he did not receive the Order confirmation email, Avril’s responsibility cannot be engaged. In that case the sale will be considered final, except in the case of cancellation of the order by Avril, including unavailability of products. The Buyer may still exercise his right of withdrawal in accordance with the Article 6 of these Terms of sale. The Buyer guarantees to Avril that he has the necessary permissions to use the payment method that he chose during the order and during the registration of the order. Credit cards accepted on the Avril website and by Avril Customer Service are: Carte Bleue, Visa and Mastercard. These payment cards must be issued by a bank or financial institution located in the European Union. Payment can be made online by the Buyer. The buyer may also pay an order by using a means of payment referred to above, by calling Avril Customer Service on + 33 3 20 70 81 78 during the opening times indicated in the section “Contact us” on the Avril website. All orders are payable in Euros, all taxes and assessed contributions included. Bank charges are the responsibility of the Buyer (including in the case of a refund). The penalties in an amount equal to the legal interest rate may, at the discretion of Avril, be automatically applied to unpaid amounts at the end of a period of ten days from the date of the order or after the notification of rejection of the bank payment. In addition, Avril reserves the right to suspend or cancel any execution of an Order and/or a delivery, whatever its nature and level of execution in case of a default in payment or partial payment of any sum payable by the Buyer in case of a default in payment, or in case of fraud or attempted fraud in connection with the use of the Avril website, including on occasion of previous orders. To ensure the security of the credit card payment, the Buyer has to transmit to Avril the CVV located on the back of the credit card used by the Buyer. In addition, Avril reserves the right to request a photocopy of the identity card and/or if needs be a photocopy of the credit card (front only) of the Buyer for the payment by credit card and/or for any information on the identity of the Buyer. The Buyer has the right to access, rectify and delete personal data about himself processed by Avril, in accordance with Article 2.3 of the Terms of sale. In the context of the fight against internet fraud, information about the Order of the Buyer may be transmitted to any third party authorized by law or designated by Avril for the sole purpose of verification of the identity of the buyer, the validity of the Order, the payment method used and the delivery method proposed. Avril uses a secure payment tool called "CM-CIC payment." The security of the payment is based on the authentication of the Buyer and the confidentiality of all data. To ensure this security, "CM-CIC payment" uses proven cryptography techniques and respects the different banking regulations applicable in France. Products ordered by the Buyer in accordance with these Terms of sale will be delivered to the address specified by the Buyer as the delivery address on the concerned Order. Invoices are sent by email to the email address specified by the Buyer when registering on the website. The package containing ordered and paid products is left in the mailbox at the Delivery Address. In case the mailbox is too small, the package is delivered to the Buyer’s or the recipient of the Order, or with the classical proceedings of La Poste. The package containing ordered and paid products is left at Mondial Relay “point relais” chosen by the Buyer during the Order. The Buyer is informed by e-mail by Mondial Relay that he can come and take his package before a period of 14 days. An identity card of the buyer will be asked in order to take the package. After 14 days, the package is returned to the sender. In this case, the buyer will be refunded for the amount of the order minus the shipping costs, by any means decided by Avril. Any contestation relating to the delivery itself is only possible if the package appears to have been delivered, the computer system (flashing) of the Mondial Relay point proving it. Note that Avril reserves the right to change the international carrier if necessary. This choice of Avril will be inconsequential for the Buyer. The terms of delivery by local postal services are different from one country to another. Generally, during the delivery, a delivery counterfoil or an acknowledgment must be signed by the Buyer or by the receiver of the Order. This acknowledgment is the proof of delivery by Avril, and of the reception by the Buyer or by the receiver of the ordered products. When the package has been delivered during the absence of the Buyer or the recipient of the Order, the Buyer or the recipient of the Order receives a delivery notice, allowing him to remove the parcel in the post office indicated in the delivery notice for a period of 10-21 days. However, methods of delivery are different in each country. The Buyer should regularly consult the track ID of the parcel via the link situated in the email informing the Buyer about the shipping of his order, to obtain information about the delivery of his Order. In the event when the package is not removed within 10 to 21 working days after the reception of the delivery notice (or, after the first delivery attempt by La Poste), the parcel will be returned to Avril and the Buyer will be refunded, by any means decided by Avril, of the order amount minus the shipping costs. Any contestation relating to the delivery itself is only possible if the package appears to have been delivered, the computer system (flashing) of the Post office proving it. Procedures are the same as for France (see point 5.2.1). • Do not open the package. Warning: opening the package excludes any recourse against La Poste and Avril. • Incident reporting and making reservations must be made within 3 working days. • Do not open the package. Warning: opening the package excludes any recourse against Mondial Relay and Avril. • Give the package to the Point Relais. - By phone on +33 3 20 70 81 78. Avril Customer Service may request any information about the identity of the buyer or the recipient of the Order and make verification for this occasion. Delivery time starts when the Buyer gets the shipping confirmation email. In case this late delivery would exclusively be attributable to Avril or to a carrier, Avril will refund all amounts paid by the Buyer and received by Avril, on condition that the whole Order is returned by the Buyer to Avril. The refund will be done as quickly as possible and no later than thirty days after the date on which the Buyer exercised his right to cancel the order. Otherwise, if the whole order is not returned or if the investigation shows no exclusively attributable fault to Avril or to a carrier, the Buyer will not be refunded of sums paid by him or will not be delivered again of the ordered products, unless he proves, by any means, he is not responsible. In accordance to Article L. 121-20 of the French Consumer Code, the Buyer has a period of 7 (seven) days from the date of receipt of the package containing ordered products, to exercise its right of legal withdrawal. However, caring to satisfy their buyers and recipients of the Order, Avril accepts the return of the order by LA POSTE or by Mondial Relay for two (2) months from the date of receipt of the Order. The Buyer, exercising his right of withdrawal in accordance with this article regarding time and return rules, can get a refund of the amount of returned products. According to Article L121-20 of the French Consumer Code, the cost of return will be the responsibility of the Buyer except in case of lack of conformity of products delivered compared to the Order (in this case the cost of return will be borne by Avril). However, to make their buyers’ life easier, Avril will pay for all returns by LA POSTE or by Mondial Relay from a Point Relais from Metropolitan France including Corsica, during the period for exercising the right of withdrawal specified in Article 6.1. The right of withdrawal is exercised by the Buyer or by the recipient of the Order by the return of the concerned products delivered by LA POSTE (mail / parcels, etc.) or delivered by Mondial Relay, using the label sent by Avril by email. The Buyer may exercise his right of withdrawal only if he has not used or even tried the products. Returned products will be accepted only intact and in their original packaging. The products must be accompanied by the Order number. Returns of products beyond the withdrawal period of two months will not be accepted. Avril does not accept packages or letters sent with postage due. Avril retains full ownership of the goods sold until full payment of the full price, in principal, fees, taxes and mandatory contributions included. The brand Avril, and all figurative marks or not and all illustrations, pictures and logos and any content appearing on the website (including, but not limited to, these Conditions of Sale) are and remain the exclusive property of Avril or the holder of the rights of the intellectual property concerned. Any total or partial reproduction, modification or use of these marks, illustrations, pictures and logos, or other content of the website for any purpose and in any support, without the express agreement of Avril or the holder of the rights of the intellectual property concerned is strictly prohibited. The same applies to all copyrights, designs, patents listed and/or used on the site. Avril works to protect their customer’s personal information by ensuring a high level of security, but the Buyer also has a role to play in the protection of his personal data. In particular, the Buyer must maintain the security of online transactions for example by communicating to no-one his personal ID (email address of the Buyer) and/or password, and has to regularly change his password. To this end, Avril cannot be responsible for the disclosure of information about the Buyer to any person who used his ID (email address of the Buyer) and/or password. In this respect, the use of ID (email address of the Buyer) and/or password of the Buyer shall constitute proof of his identity, and due to the validation of the Order of the amounts corresponding. Avril will in no case be liable for misuse of this information. Providing the credit card number and the final validation of the Order will be the evidence of the acceptance of the Order, and that the amount of the products chosen on the Order is due. Data kept in Avril’s computer systems and its partner’s computer systems will be considered evidence of communications, orders and payments between the Parties. The Buyer, prior to his Order, declares having full legal capacity, allowing him to engage under these Conditions of Sale. Avril may in no case be required to verify the legal capacity of its visitors and buyers. Accordingly, if a person not having legal capacity should place an order on the website, its legal representatives (parents, guardians, etc.) shall assume full responsibility of this order and shall pay for its price. The responsibility of Avril for the obligations of these Conditions of Sale shall not be committed in the event when the failure of its obligations is attributable to the fact of a third party even if it is predictable, to the fault of the Buyer, or to the occurrence of an event of force majeure as defined by the French courts or other event that was not reasonably within the exclusive control of Avril. Information available on the website is provided "AS IS" without guarantee of any kind, either express or implied, concerning the integrity, accuracy, timeliness, non-infringement, availability , reliability or completeness of information, products, fittings or services on Avril website or their adequacy for use, the Buyer intends to make. Avril cannot be held responsible about the products sold on the website especially in case of non-compliance with their user. Avril could not be held responsible for any damage caused to the Buyer or a third party, and subsequent to this misuse. AVRIL DISCLAIMS ANY RESPONSIBILITY FOR ANY DIRECT, INDIRECT, WHETHER OR NOT ANTICIPATED DAMAGE, CAUSED DURING THE USE OF THE WEBSITE. SHOULD THE RESPONSIBILITY OF AVRIL BE RETAINED AS A RESULT OF AN INJURY SUFFERED BY THE BUYER AND DUE SOLELY TO THE EXECUTION OF AN ORDER, IT WILL BE LIMITED TO THE AMOUNT PAID BY THE BUYER TO AVRIL. Any complaint filed by a user, including any Buyer, against Avril must be made within 6 months of the onset of the event, subject to the claim. Hypertext links can send to other websites than the present. Avril disclaims any responsibility in case the content of these websites violate the legal and regulatory provisions in force. Avril collects the personal data of the Buyer and, if applicable, the recipient of the Order. The Buyer is informed that the processing of information, including the management of e-mail addresses of users, has been declared to the CNIL (declaration n ° 1564952). Our website is secure via the HTTPS protocol. This means no data sent to our site passes without being encrypted. Your personal information is then stored on a secure server. We do not save your bank details on our website. To proceed the payment, you are redirected to the secure site of our bank, Credit Mutuel. The data is also encrypted on this site. The personal data you provide us are only used to send your order. However, it is possible that we contact you by email or phone but only about the delivery of your order. We do not record phone conversations. We will never share your personal data with third parties. By placing an order on our site, you nevertheless agree that your information (name / address / phone / email) is entered on the carrier's website that you have chosen to send your package. At any time, you can ask to delete all your personal data by contacting us via our contact form or by phone. Beyond 3 years without order made on our site, your data are automatically deleted and subscription to our newsletter, if you were subscribed, is interrupted. In case of collection of personal data relating to minors, parental authority has the capacity to oppose conservation and/or transmission to third parties. Avril reserves the right to change and update the Terms and Conditions without notice. To be informed of any such changes, Avril advises the Buyer, and generally any user to read the Terms and Conditions regularly. The Order will be subject to the Terms and Conditions in force at the time of the Order. If one or more provisions of these Terms and Conditions are required to be invalid or declared as such under any law, regulation or following a final decision of a competent court, other provisions shall remain in full force and effect. The fact for one of the parties not to take advantage of a failure of the other Party in any of the obligations contained in these Terms and Conditions shall not be interpreted in the future as a waiver of the obligation in question. Avril product sales are subject to French law regardless of the country of residence of the Buyer and place of issuance of the Order. ANY DISPUTE CONCERNING THE EXISTENCE, INTERPRETATION, EXECUTION OR BREACH OF THE CONTRACT AGREED BETWEEN AVRIL AND THE BUYER, AND EVEN IF MULTIPLE DEFENDANTS, WILL BE, IF NO MUTUAL AGREEMENT, OF THE EXCLUSIVE JURISDICTION OF FRENCH COURT PURSUANT TO RULES ADOPTED BY THE FRENCH CODE OF CIVIL PROCEDURE. Terms & conditions apply throughout the duration of online products offered by Avril until the end of periods of contractual and legal guarantees. In any event, the clause "Responsibility" will survive termination of the Terms and Conditions. - By phone on +33 3 20 70 81 78, during opening hours indicated in the section “Contact us” of Avril’s website.